RALEIGH, N.C. - March 20, 2018 - PRLog -- Joyce Mann, CEO of Lenoir-based RMANNCO, Inc., announced today that, "RMANNCO's new Cannabis-based biocide formulation may hold the key to eradicating the invasive zebra and quagga mussel infestation plaguing North America". RMANNCO's nanotechnology division is involved in the cannabis industry, providing microencapsulated, or powdered cannabis extracts for the medical and edibles segments. Growing Cannabis sativa (L) known as agricultural hemp became legal in North Carolina in 2017 and is expected to evolve into a mega-million dollar industry in NC by the year 2025. 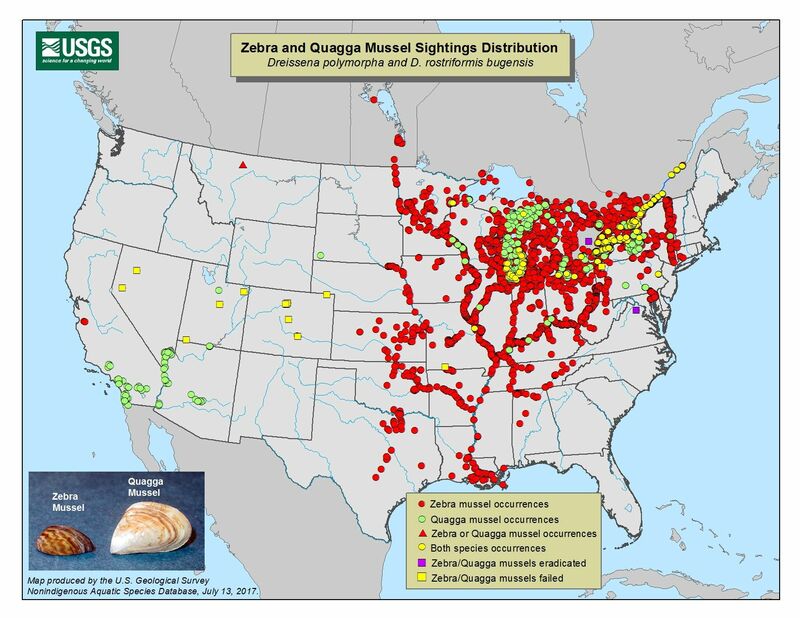 Mann made the announcement adding that RMANNCO's scientific team responded to the "The Grand Challenge" issued by the US Department of the Interior, Bureau of Reclamation, in which it is seeking novel methods aimed at eradicating zebra and quagga mussels in North America. For information about the Grand Challenge see https://www.usbr.gov/research/challenges/mussels.html . In response to the Challenge Ms Mann said that a team led by RMANNCO's Emeritus Chief Scientist, Dr. Joseph A. Resnick, has developed a new bioremediation product that comprises an, all-natural biocide that is lethal to several invasive species found on the National Invasive Species List (https://www.invasivespeciesinfo.gov/index.shtml ). Mann said that the initial R&D was undertaken at the company's HQ and lab in Lenoir, NC and that the new formulation uses extracts of CBD, or cannabidiol, delivered in microscopic sized capsules called, nanospheres. Nanospheres are about fifty times smaller than the thickness of a human hair. The nanocapsules are made of heavier-than-water materials and this enables the new product to 'sink' and fall into areas where mussels thrive, called the benthic zone. Dr. Resnick's initial experiments found that when delivered in sufficient quantity the cannabidiol inhibits production of chemicals that mussels use to attach to surfaces where they can feed. Mussels must be attached to something so they can feed by sifting water. If they cannot attach, they cannot feed and die off. Cannabinoids are permitted for use as a bioremediation agent and are listed in the Bureau of Reclamation's Technical Memorandum, No. MERL-2011-46. Dr. Resnick, who holds a Ph.D. in the areas of Bioremedation and Biodefense, recognized the significance of utilizing cannabinoids as a 'green sustainable technology' and undertook development of the new class of bioremediation products in 2016. 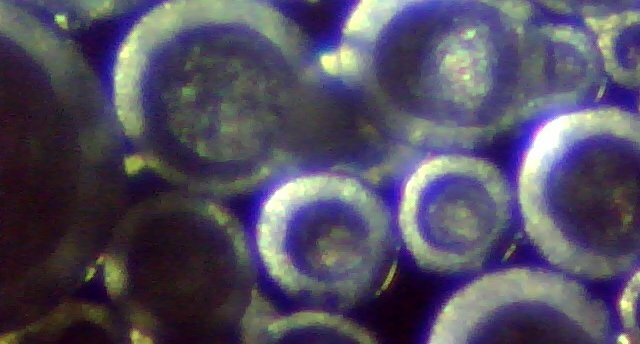 In the late 1980's while working with NASA, Dr. Resnick invented a way to create tiny balls, called, 'microspheres' in space (see: https://spinoff.nasa.gov/Spinoff2016/ee_9.html). Dr. Resnick said, "Using cannabidiol as the basic component in a new class of 'heavier-than-water' bioremediation tools is an exciting new use for the hemp and will help to grow the industry". Resnick's micro-carrier's deliver cannabinoids along with other biocides and genetic material, utilizing the same microscopic-sized carrier ~ nanocapsules. The nanocapsules have numerous wall matrixes, or layers. By creating multiple matrixes during manufacture Resnick discovered that he could deliver genetic material, e.g., genetically-altered mussel stem cells, viruses or clustered, regularly interspaced DNA-snippets, or palindromic repeats, to accomplish the additional feature of transfection in addition to delivering the lethal necrotic agents. The patent application terms this capability as, 'delivering the kill-shot with the magic-bullet'. Mann concluded stating that RMANNCO has responded to "The Grand Challenge" and plans to seek additional US and Foreign Patents regarding the technology and welcomes inquiries from potential collaborators or Licensees. For additional information contact Joyce Mann at RMANNCO, Inc.